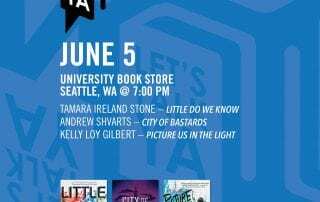 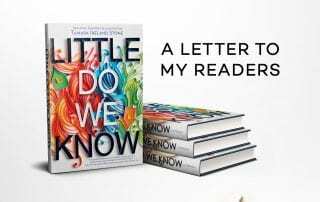 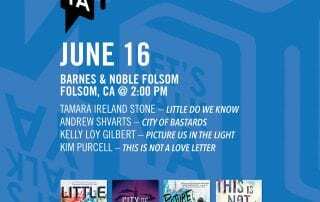 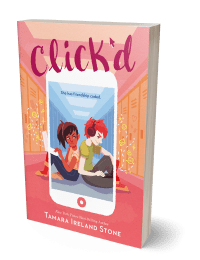 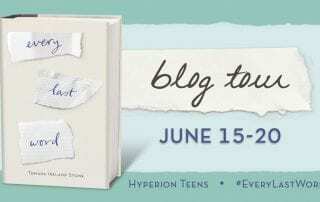 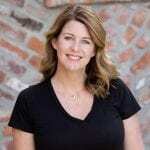 The Let's Talk YA tour is coming to Folsom with authors Tamara Ireland Stone (Little Do We Know), Andrew Shvarts (City of Bastards), Kelly Loy Gilbert (Picture Us In The Light), and Kim Purcell (This is Not a Love Letter). 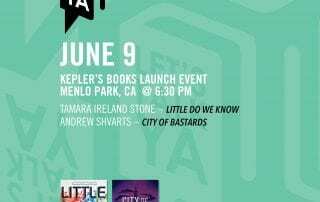 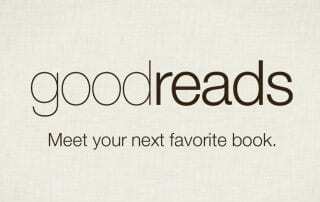 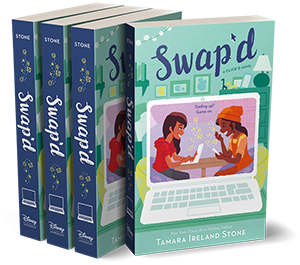 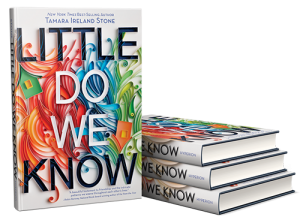 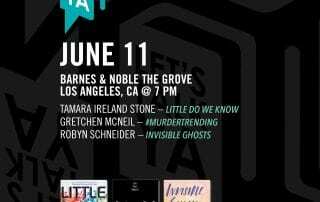 The Let's Talk YA tour is coming to Menlo Park with authors Tamara Ireland Stone (Little Do We Know) and Andrew Shvarts (City of Bastards). 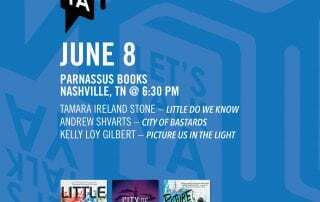 The Let's Talk YA tour is coming to Nashville with authors Tamara Ireland Stone (Little Do We Know), Andrew Shvarts (City of Bastards), and Kelly Loy Gilbert (Picture Us In The Light). 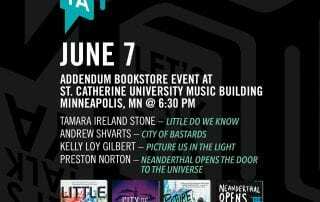 The Let's Talk YA tour is coming to St. Paul/Minneapolis with authors Tamara Ireland Stone (Little Do We Know), Andrew Shvarts (City of Bastards), Kelly Loy Gilbert (Picture Us In The Light), and Preston Norton (Neanderthal Opens the Door to the Universe). 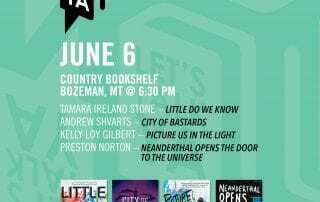 The Let's Talk YA tour is coming to Bozeman with authors Tamara Ireland Stone (Little Do We Know), Andrew Shvarts (City of Bastards), Kelly Loy Gilbert (Picture Us In The Light), and Preston Norton (Neanderthal Opens the Door to the Universe). 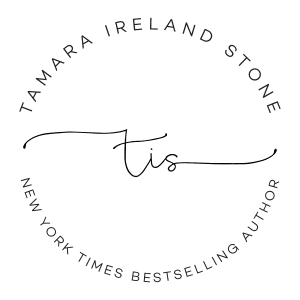 So excited to share the cover of the Spanish edition of EVERY LAST WORD! 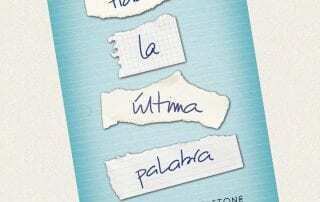 Hasta la última palabra is coming January 27 from Ediciones B. I can’t wait to share this story with you!